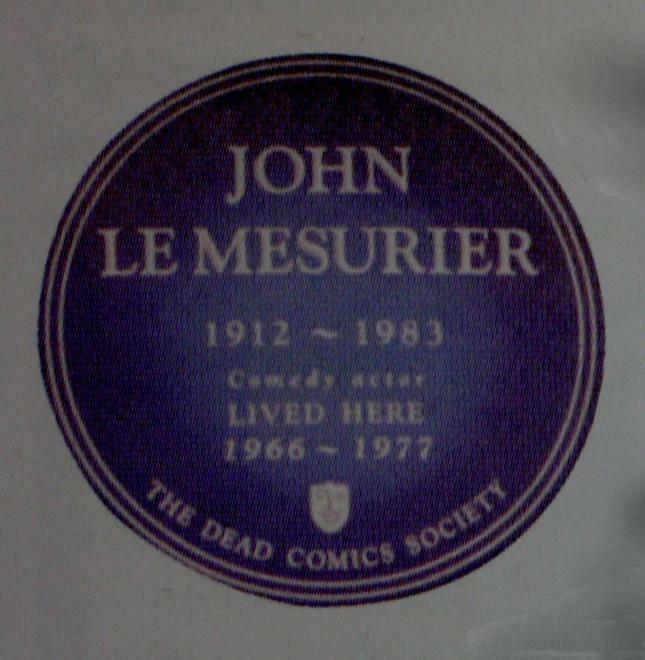 John Le Mesurier, 1912 - 1983, comedy actor, lived here, 1966 - 1977. 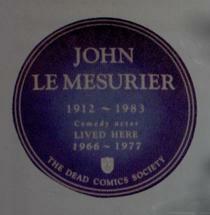 Picture Source: The excellent 'London's Plaques' by Derek Sumeray and John Sheppard, Shire Publications. The plaque is located on a block of flats at the far end of a 'gated' estate. Even our longest lens setting could not produce a reasonable photograph, so we had to resort to other means. If anybody out there has a high power lens and would like to take a decent picture for us, we would be very grateful. William F. Brown, Bishop of Pellla, born 1862, died 1951.